Chic on a Shoestring Decorating: Flaunt it Friday 291! Sunday is Valentine's Day (already?!? )and I added a little bit of Farmhouse Valentine's Day decor to my home. I shared it all in a blog post along with some tips on adding Farmhouse style to your Valentine's Day decor. Please stop by and check out the rest here. Now, it's time for Flaunt it Friday! Thank you so much for hosting the party. Have a great weekend. Oh goodness, how cute your room, love the splashes of Valentines, so cute, very romantic!! Thanks for hosting Kate. Hope you have a wonderful weekend. Thank you Kate for Flaunt It Friday 291. Always a pleasure to visit and join in. Happy Valentines on Sunday. I haven't put out anything for Valentine's Day yet...love your pillows. Thanks for hosting and have a great weekend! What a super great party. Thanks for hosting. 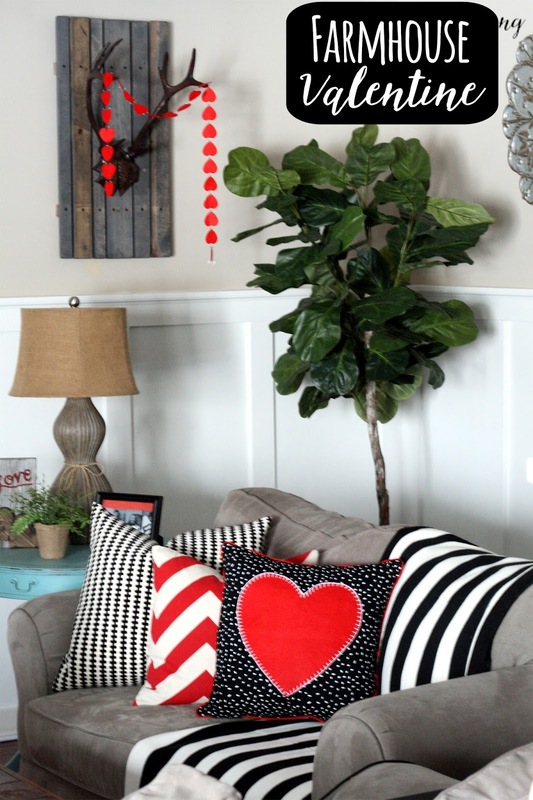 Loving your V Day decor! Thanks so much for hosting the party - have a wonderful V Day!